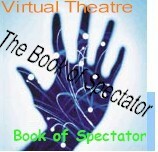 2007-2008 : theory thoughts -- Book of Spectator [ specatotor is a true method actor ]. Glossary (my definitions) vs. dictionary ? ... "notes" pages for each chapter? No permission is granted to you to print, copy, reproduce, or distribute additional copies of these materials in any mechanical, electronic, or digital storage format. Anyone who wishes to print, copy, reproduce or distribute additional copies must obtain the permission of the copyright owners. It's getting more confusing every time I write new texts: now in addition to Stanislavsky, we have visits by Meyerhold (who couldn't contain himself to the Biomechanics and Stagematrix pages), and Anton Chekhov? Even Shakespeare got something to say about the Method Acting! Who is next? Aristotle? ������� ������� ���������, � ��������, �����������, ����, ����, �����������, �������, ������ (equivalents in yoga). See method directory @ Text-only (old), keep the index page in separate window. Well I feel bad about the Student in our Plato's dialogues. The yougest, of couse, seems liake the studiest. Second, "Mike Karoly" is a real person. We are discussing mostly the Actor1, which I call "director" -- the second one is the king in "Biomehcnics for Actors." 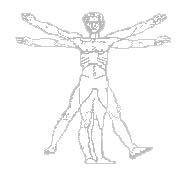 How do you work with your body, how your body interacts with the space and time and etc.? In "Director's Recipes for Method Actors" we talk about the mind and the soul of Actor. Anatoly, turn it into workbook with the space for them to write THEIR notes! Every time I touch this book, I get ten or more new files-pages -- and all seems to be a must! Biblio, Books, References ... and I didn't get to how to do the indexication! Or this one -- the Glossary! ��-������. Now I can use cyrilics on my pages -- should I give the original spelling in Russian? MASTER. What? MAXT? Moscow Art Theatre? Art Theatre? Art? Never! Don't I know? They betrayed me! Everything I did is ruined. You should go and see for yourself what they did with the System! For decades! No! Not Moscow! No, no and no! I like it here! Now, you see my situation. And that was before Meyerhold began to visit my classes and they will get into fights with me in the middle... No wonder that students think that I am mad. All three of use would scream and all that jazz... I got so bad that even my dean said -- Anatoly, why don't you take a sabbatle? You need it. I got complains and several phone calls from the Homeowers Association -- what I have to do? To tell them that Aristotle threw up on the balcony below? So, I said I did it. Me and my students. I lied. I lie. Well, I have to tell you about the new thing they do nowadays. Somehow they learned how to use my computers, you know, geniuses, and now when I check my webpages I see some texts I do not understand. They write it! What am I to do? Not enough troubles in my classes, now they want to terrorize me in front of the global community? What? I get email, like "Dear Professor Antohin, what do you mean... " How the hell do you know? I didn't write it! I have no clue! "Who wrote it?" I scream (plus some bad language). "You?" They laugh, they giggle -- "We love you, man!" In short, I'm thinking about defecting back to Russia. 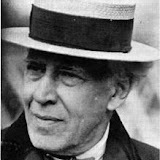 Stanislavski is associated the SYSTEM, which one often regards as immutable instructions, whereas it is about a compilation of the moving reflexions of the expert at various times of his life. The System constitutes a solid base for the artistic creation of the actor: it gives him TOOLS to behave correctly on scene and to find a certain TRUTH OF PLAY. If the actor believes in what it does, the witness believes what it sees. The System includes/understands two distinct parts, even if one often takes account only of the first, based on the interior play. 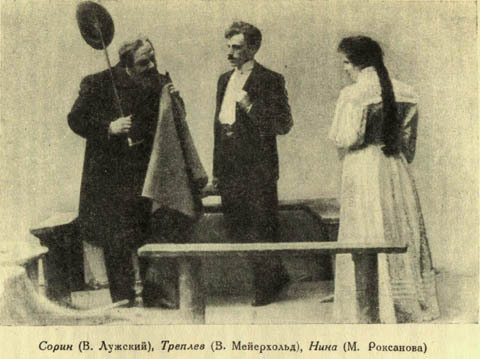 Towards the end of its life, Stanislavski revises its positions as for the play of the actor by proposing the METHOD OF the PHYSICAL ACTIONS, which approaches the ideas of Meyerhold. The actor, says it, cannot trust only his interior universe. He can reach probability by supporting his work on physical anchorings. Interior technique of the actor, who leads it to test itself the emotions of the character while excavating in the experiments of his own life. If the character is sad, the actor will revive in him one moment sadness and will transfer his emotion to the character by holding account from the circumstances suggested by the role. It is what Stanislavski calls the emotional memory. To exist on the scene, the actor must act and any act must have a goal . Stanislavski proposes to the actor to define an super-objective (or principal line of action) which will guide its role throughout spectacle. This objective is divided itself into minor objectives which guide each sequence. The objectives must be defined by clear verbs which lead to the action. Ex: to allure, convince, drive back. Si acts for the actor like a lever for imagination. How would I act if I were...? 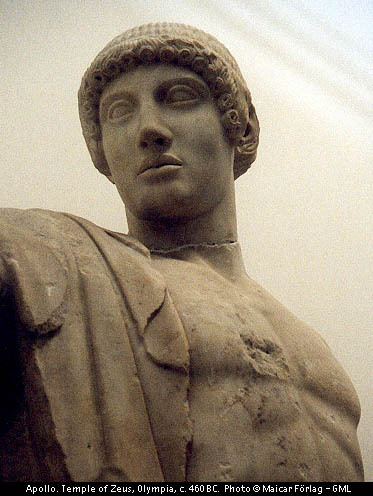 When it works a character, the actor evaluates the CIRCUMSTANCES SUGGESTED , which include/understand all whose actor in a state of play must hold account (time and place of the action, situation of the character, objectives of the role, but also costumes, scenography, decisions of setting in scene, etc). To concentrate on the circumstances suggested makes it possible to the actor to build his play on concrete data and to leave the free field to the creativity. The imagination, stimulated by the so magic one, is then transposed in concrete physical actions. The creative impulse finds its origin in the subconscious, sits of the emotions. 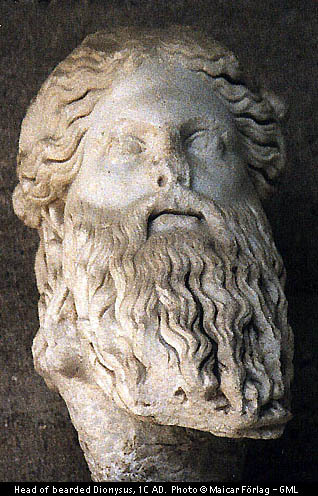 Like the actor does not have directly access to the subconscious, it must learn how to stimulate it by a conscious technique: to live again. The under-text corresponds to the hidden direction of the text, so that the actor must seek under the words of the author and who will dictate the line of action of his character and what it must feel. The under-text is in fact a succession of images which the actor passes by again as an interior film when it plays. These are the images which make it possible to the actor to set in motion his imagination. There is not a risk which the actor lets himself submerge by the emotion that it revives? STANISLAVSKY: Here is utility of the repetitions! The actor evacuates there all the emotions, tears and starts related to the experiment lived in his own life, of kind to be only preserved what serves the character, without the subjective interferences. The actor saw a permanent unfolding, since it feels the emotion all while controlling it. To live again is not advised that if it is controlled! This part of the System is very discussed, because Stanislavski died before giving him a final form. It does not deny the System; it is the result . Initially, the director works out for the role an elementary physical forward path. The actor achieves them fully, without being concerned with nature of the role. Little by little, it introduces the circumstances suggested, which specify the character. All things considered, one goes from simple to the complex, conscious with the subconscious, the person to the character. Salary: An actor may earn anywhere from nothing to millions. In most cases an actor earns scale. This is salary determined by a wage scale in the contract of the union which has jurisdiction over the project. At the highest levels famous actors may command alternate means of compensation including a percentage of the gross profit. In any case, the union scale is only a minimum, actors are always free to negotiate for more. For pay purposes, SAG actors are classified as either extras or principals. Extras are those in the background whose lines, if any, are not discernible. Principals are those who have scripted lines or are the subject of a shot. An actor doing a commercial will be paid SAG union scale for the day, which is called a session fee. If he is a principal this will be a minimum of about $500, if an extra it will be about $250. If it is a non-union commercial, the pay may be less. If the commercial is aired, an actor will receive a holding fee for a thirteen-week block of time. This obligates him to not work for a competing product during that period. Commercials may be renewed for these thirteen-week blocks over a twenty-one month cycle, after which they are usually retired. The major money for the work will come if the commercial is actually aired. The amount will vary widely depending on a number of key factors, including: whether it is national or local, how frequently it is shown, and for how many weeks. If it is a national commercial the actor will be paid residuals which are determined by a complicated formula. One of the agent's jobs is make sure the actor gets the correct amount. Occasionally older commercials are reinstated at which time the ad agency contacts the talent agent to renegotiate residual payments. Sometimes, a client like Jack-In-The-Box, which is not a national chain, regional one, will offer a buyout. This means they can run the commercial as often as they want for a negotiated one-time fee. A local commercial may earn an actor a few thousand dollars, but a featured role in a long-term national one can bring in tens of thousands. For theatrical films (what you see at movie theaters), the SAG minimums are $596 for a "Day Performer" and $2,070 for a "Weekly Performer." From there it goes to specific pay schedules. Weekly performers on Schedule "B" can get up to $5000 for a theatrical film, and $4200 for television. Performers working on Schedule "F" are paid by the project rather than by the week. Under schedule "F" actors working on a theatrical movie earn $55,000 per picture; on a TV movie, $30,000 per picture; on a mini-series, $34,000; and on episodic TV (a weekly series), $30,000 per episode. Beyond these minimums actors can negotiate whatever their marketability and popularity will bear. For instance, the cast of the television sitcom Friends each will receive about $1,000,000 per episode for their final season, the leads on ER get $300,000, and Drew Carey recently got an increase to $400,000 per episode plus a new Porsche! At last report, the salary king of sitcom was Kelsey Grammer who gets $1.7 million per episode for his series, Frasier. As the rich get richer, the poor get poorer. The escalating salaries of the leading screen players have created a kind of two-tiered system, much like that of the National Basketball Association. While the networks and studios dole out whopping salaries for stars, lesser known actors and day performers are held to minimum salaries. Consider the following sobering figures. Around 80% of SAG members earn less than $7,500 per year, and 25% earn nothing. Television actors are in the same boat. About 70% of the AFTRA membership earn less than $2,000 per year. Obviously there are many members who are part-time actors who make their primary living doing other things. Only 4% of the SAG membership earn more than $50,000 per year and less than 1% earn the extraordinary salaries that you read about in the papers. The situation is much simpler in the theatre--everyone is poorly paid! Well, I'm being a little facetious, but my point is that salaries are more evenly distributed across the board. Plus, there are no residual payments, videotape sales, or broadcast options for stage performers. Consider these facts. Less than half of the 36,000 members of the stage actors union found any work in the 1997-'98 season. The average number of weeks worked was 17.7, and the average annual salary was $14,936. And these figures represent an increase over the previous season! There is one final irony. Screen actors, especially highly paid ones, get their money before the audience even sees the product. If the movie is terrible and nobody sees it they still get paid. On the other hand theatre actors may hope for a six-month run, but if the play is awful and closes after one week, they only get paid for the time they actually worked. One could say that theatre actors have more incentive to do a good job. ... more @ director; I wish I could write on that subject. They need this talk. Before they graduate.